How to make good out of a bad situation. Schools really don't want to exclude students, ideally, students need to be in school and learning. Unfortunately, sometimes schools need to exclude students, and this can be detrimental to the school and the student, schools don't want to lose attendance marks, they don't want the student to stop following the curriculum, with an important target for the young person to achieve the best grades to give them the best chance in the future. We can help with this, by quickly being able to put your young person on a seat with safeguarding tools to help them learn and have an increased protection while they are not on school premises. Students can follow your current half termly curriculum for their year group, with all work marked and given feedback. They can also doe behaviour lessons relating to the issues leading to exclusion. This information is all monitored and helps with any reintegration meeting and supports schools behaviour policy and expectations. Working with EDLounge we aim to help you reduce the numbers of days exclusions and increase the school's attendance. EDLounge was initially designed to prevent 34 students from being permanently excluded from one school over a term in our pilot year in 2008. It worked. It is now a powerful resource for your pupils to continue learning when working in an inclusion unit or for those that have been excluded. Our unique methodology gives every child the chance to succeed through the study of core subjects, allowing pupils to learn, progress and attain in an environment that is suited to their specific needs. Work completed can be tracked and monitored to see the pupil's progress and data can be presented in the form of printable reports. With personalised pathways for your pupils to complete, knowledge and understanding can be developed whilst removing barriers to learning. The EDLounge platform has proved successful in improving behaviour, minimising issues that may occur when a pupil returns to the mainstream classroom. EDLounge provides a great tool for motivating and creating a positive learning system for NEETs, included, excluded, vulnerable, home educated, foundation, vocational, teenage pregnancy, injured or long term sick and fast track students alongside being used for target groups, C/D border students, or whole school approaches. We now have over 60,000 students online, learning and gaining vocational qualifications in over 200 schools and academies. 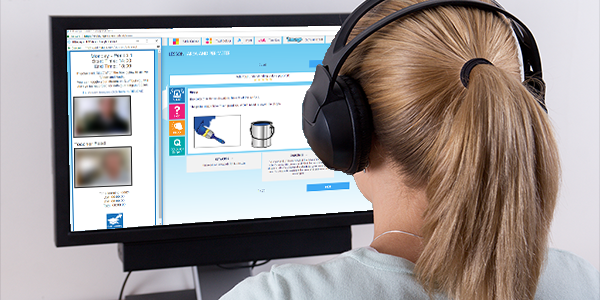 Through EDLounge you can create user accounts and lessons instantly whilst bespoke your own lessons to create an individual programme within a learning pathway for students to follow. Students can also receive attendance grades whilst completing lessons, assessment files and coursework through EDLounge.